Swedish Scientists Square Off Over Who Can Sneak In Most Dylan Lyrics : The Two-Way It all started in 1997, when two professors from the Karolinska Institute in Stockholm published an article on flatulence titled "Nitric Oxide and inflammation: The answer is blowing in the wind." A group of Swedish scientists who are fans of Bob Dylan's music made a bet 17 years ago to see who could work more of the folk singer's song lyrics into their scholarly articles. 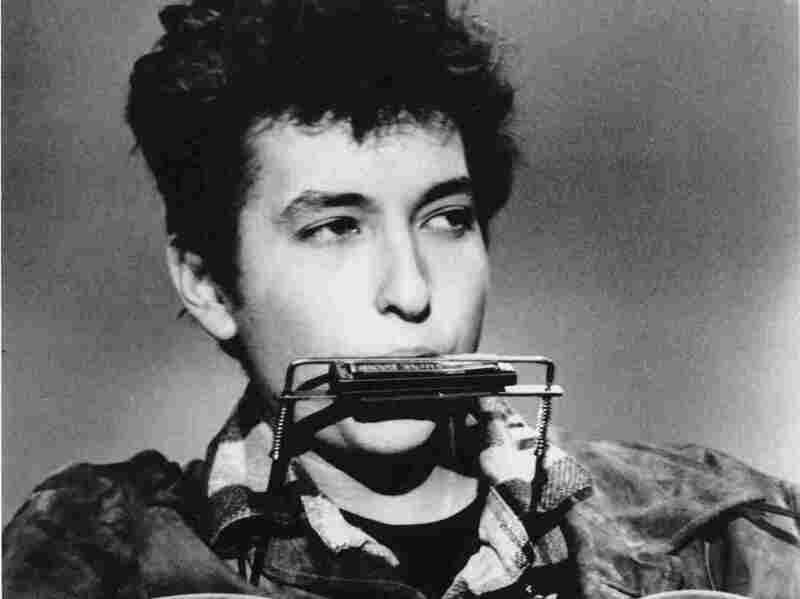 Some might say a group of Swedish scientists have "got a lot of nerve," running a 17-year secret contest to hide as many Bob Dylan lyrics as possible in their scholarly articles. The attitude of others, no doubt: "Don't think twice, it's all right." As Sweden's edition of The Local reports, it all started back in 1997, when John Jundberg and Eddie Weitzburg, two professors from the Karolinska Institute in Stockholm, published an article on flatulence titled "Nitric Oxide and inflammation: The answer is blowing in the wind." Weitzburg told the website: "We both really liked Bob Dylan and we thought the quotes really fitted nicely with what we were trying to achieve with the title," adding,"We're not talking about scientific papers — we could have got in trouble for that — but rather articles we have written about research by others, book introductions, editorials and things like that." A few years later, two others scientists, Jonas Frisen and Konstantinos Meletis, picked up the riff in a research paper on the ability of non-neural cells to generate neurons, which they called "Blood on the Tracks: A Simple Twist of Fate," incorporating the title of one of Dylan's most famous albums with the song title of one of its most best-known cuts. That's when, The Local says, a librarian spotted the Frisen and Meletis article and pointed it out to Jundberg and Weitzburg. The four scientists decided to make a bet: Whoever could squeeze the most Dylan song references into articles before retirement gets a free lunch at a restaurant in Solna, north of Stockholm, where the university is based. A fifth inductee, Kenneth Chien, a professor of cardiovascular research, joined the group when the four others discovered his classic title: "Tangled up in blue: Molecular cardiology in the postmolecular era." The Guardian says: "With five competing rivals, the pace of Dylan references accelerated. Lundberg and Weitzberg's The Biological Role of Nitrate and Nitrite: The Times They Are a-Changin', in 2009; Eph Receptors Tangled Up in Two in 2010; Dietary Nitrate — A Slow Train Coming, in 2011." Amid his sudden notoriety for the song lyrics contest, The Local asked Weitzberg, how does it feel? "I would much rather become famous for my scientific work than for my Bob Dylan quotes," he replied. "But yes, I am enjoying this!"